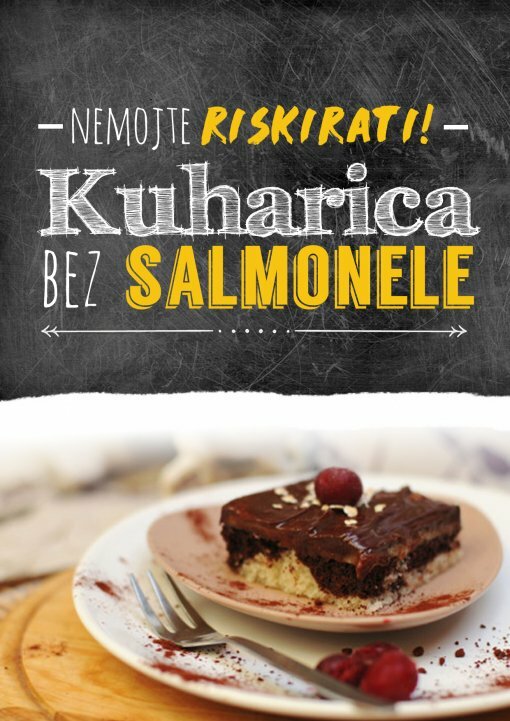 While the United Nations advises to start eating less meat to reduce climate change and the World Health Organization classifies meat products in the same category as carcinogenic substances such as plutonium, tobacco and alcohol, the greatest individual impact and reduction of meat and egg consumption in recent years in Croatia has come from the current salmonella scandal. Therefore, the No-Salmonella Cookbook comes at the perfect time. Its delicious recipes will encourage anyone to study the ingredients, put on the apron, take the spoon and cook surprising delicacies for their dearest without fear of fever, severe abdominal pain, nausea and other symptoms of salmonella poisoning. Recipes that will lure even the most demanding individuals are divided into several categories - appetizers and side dishes (soups, stews, spreads), main courses, and at the end, for all dessert lovers, there is diverse range of well-known desserts in a new light. While crafting recipes, we chose cheap ingredients that are simple to cook and widely available, making sure the dishes are easy to make. French salad, cabbage rolls, omelette without eggs, seitan roast (appropriate for the upcoming holidays - it will catch everyone's eye), pancakes, choco-coconut squares and Danube waves cake. Surprise your senses and try your favorite dish in an even better, harmless herbal version! These meals are not strictly intended for people who avoid ingredients of animal origin or for those allergic to eggs and lactose. They're for everybody, and no doubt, people will love them. That is why more and more people are beginning their day with healthy plant spreads, fruit smoothies and choosing vegetable milk for their coffee in coffee bars. There is no fear that you will be hungry after a meal or to reach for any expensive, exotic ingredient necessary for the recipe. The No-Salmonella Cookbook does not only break the stereotype that vegans eat only grass, but you will save a few pennies and your health. Animal Friends has already invited everyone to take advantage of the Salmonella affair to make positive changes, and this cookbook will open a world of delicious vegan dishes for those who are interested. You can find other recipes at at www.spremi-klopu.com and www.zeleni-ponedjeljak.com or take the adventure of a thirty-day Vegan Challenge at www.veganopolis.net, where you can find a Vegan Guide where to buy food from the No-Salmonella Cookbook. In addition to No-Salmonella Cookbook in Croatian, Animal Friends has prepared equally delicious and safe video recipe on its YouTube channel www.youtube.com/afcroatia.